How Nutritionist Cristina Hoyt Filled Her Client Docket Without A List! Imagine you have just finished your master’s degree program in Nutrition and you’re ready to go full-time in your own business, offering nutrition and health-coaching services…but you don’t know where to get those clients you’ll need. Up to this point, you haven’t had anything consistent enough – you’ve been seeing people sporadically, here and there – and you know you want to make this your full-time career path, but you’re just not sure how you’re going to see consistent clients and consistent cash flow. How do you make that happen? 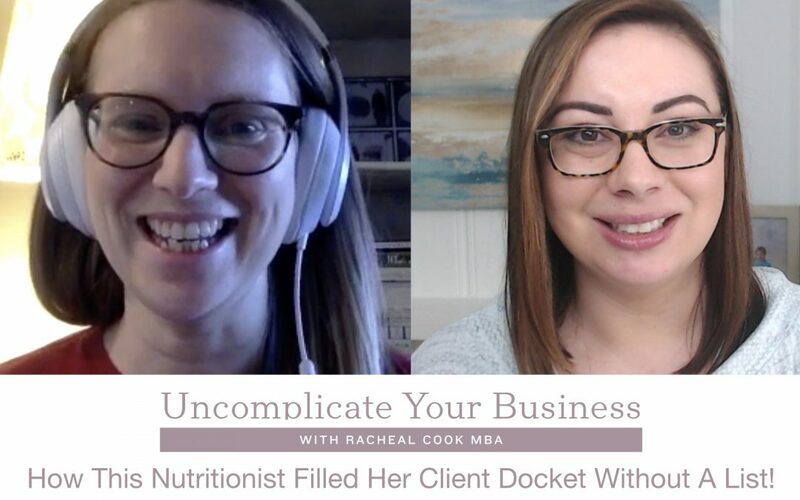 Well in today’s episode of Uncomplicate Your Business, I’m sharing an in-depth conversation with nutritionist Cristina Hoyt, a friend and client who shares with us how she started using the Get More Clients systems to start FILLING her monthly client docket! Now? She’s got the consistent cash flow of a full-time career in entrepreneurship! So if you’re a service-based entrepreneur who has been struggling to get that consistency you can depend on…you’re going to want to listen to this episode! Don’t miss the Get More Clients Masterclass! 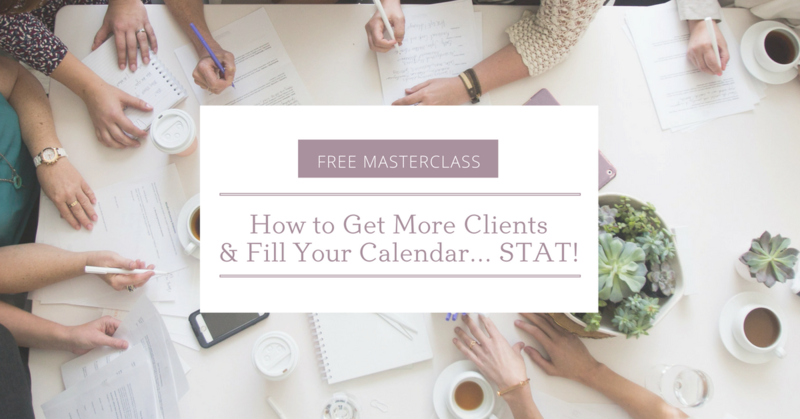 And if you’re ready to consistently Get More Clients, join me for this 100% Free Masterclass! I’ll walk you through the exact 7 step process I use to generate over $100,000 per year in private coaching and consulting and have taught to hundreds of my students. Are you ready to Get More Clients in your business? Get Cristina’s Eat to Thrive 5-step guide!